Write your own adventure in the 2019 Porsche Macan. This compact SUV is available in 2 models — Macan and Macan S — to deliver a ride you’ll love with impressive performance. Experience swift acceleration with the Macan, which is built with a 248-hp Turbocharged inline 4 engine that puts out 273 lb.-ft. of torque. You can also opt for even more muscle with the Macan S that boasts a 348-hp Turbocharged V6 engine. Each SUV has all-wheel drive for reliable traction on less-than-ideal surfaces. 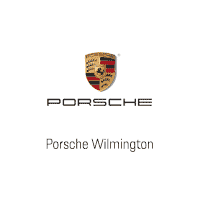 Check out the new Porsche Macan in Wilmington, North Carolina.